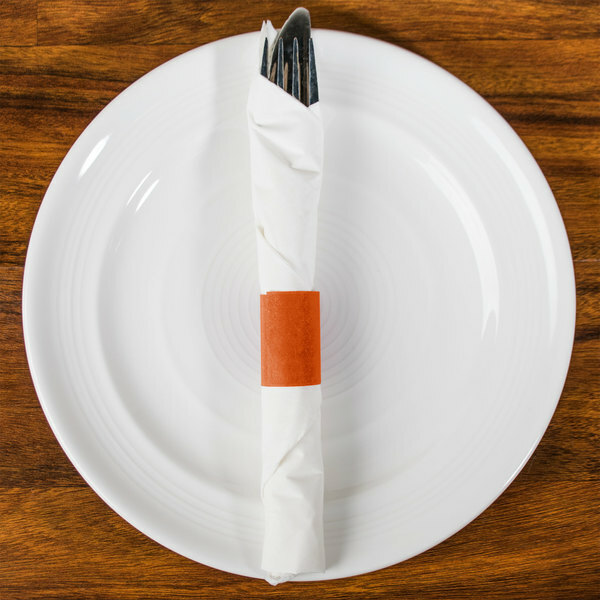 Add a subtle hint of color to your tabletop and stylishly wrap your flatware with this Royal Paper RNB20ML rust self-adhering paper napkin band. Manufactured from 50 lb. 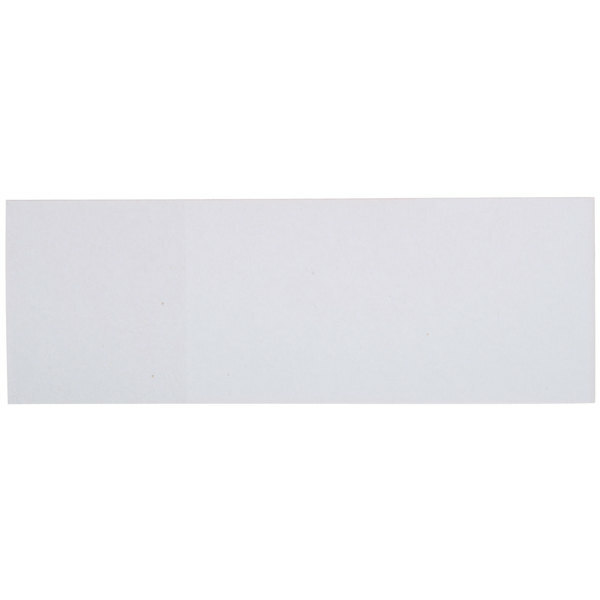 virgin kraft bleached paper, this durable band will provide a polished appearance and securely holds your utensils and napkins until ready for use. On either end of the band, self-sealing glue is present, providing a tight seal all the way around the napkin roll. There's no need for additional adhesion! This glue ensures the strap will not peel back or unravel. Plus, it keeps your napkin clean and safe for use. 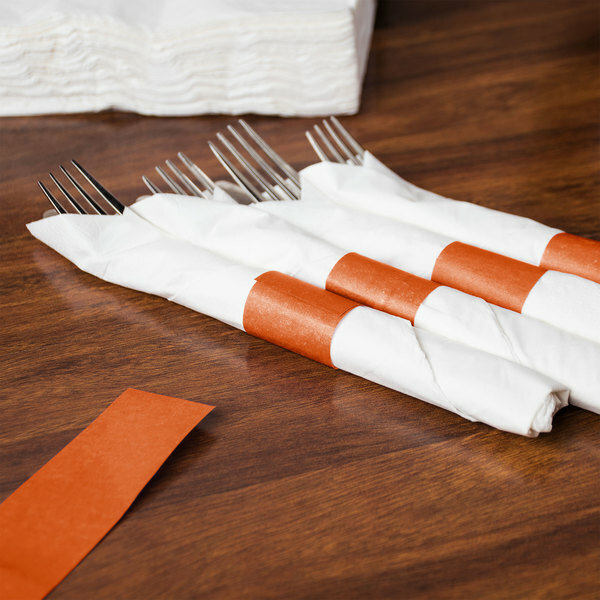 Select this rustic orange-brown napkin band for an elegant presentation at your restaurant, catered event, or cafe! Very nice addition to the napkins we use for wrapping the silverware at our restaurant. Only con is that the adhesive tends to dry pretty fast, so they do not last much if you do not use them soon. 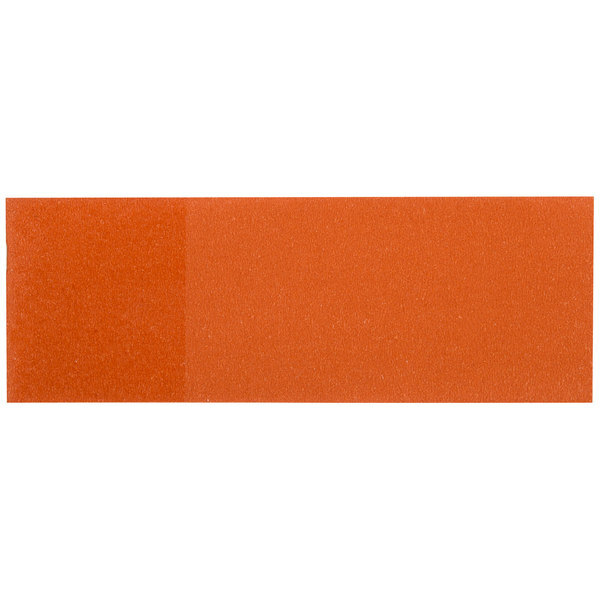 Beautiful Rust Color perfect to use on any color napkin to give that pop to the decorative tableware, elegant, easy to use and great price! These bands worked great. We were able to wrap all out silver ware ahead of time and the bands did not let loose. Saved us a lot of time at our function. These look really nice out in our dining room. I highly recommend getting a colored napkin band to make a quick improvement to your dining rooms apperance. They stick very nicely also. These are great. They are very inexpensive and they help you out in the long run. You can wrap as much silverware as you have in house ahead of time. Great product. These are what they are. The difference with these is the price which cant be beat and the quality! Great for securing rolled silverware easily!! I was very pleased with my purchase through www.webstaurantstore.com the first time I ordered. When management decided to try a different company, one who they already go through for paper products, they got a less-quality product for slightly cheaper. I do believe you offer a better product and your service was great- I got my shipment within a few days, which is exactly what I needed to convince the owner to let me try your site again! I hope the same thing happens and I will be able to prove to my owner that your site is way better, cheaper, and easier (as i believe) than his suppliers! Prove me right!! These bands are a great bang for the buck! They dress up our silverware nicely and they don't loose thier shape or tack. Great way to inexpensively spruce up a table. I love these because it makes my silverware on the tables more elegant. Plus gives my wait staff an extra job to do to pass time. 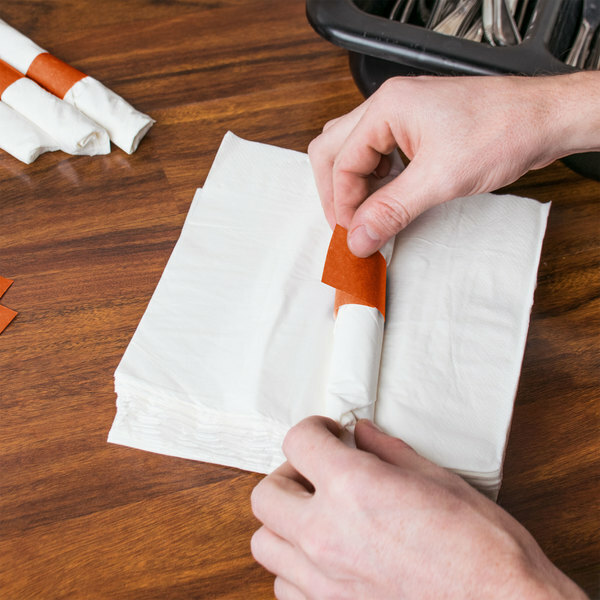 these paper napkin bands are a must have to keep things running smooth out front. and the webstarunt price can not be beat. great band will use again. Great little tabs, I love that they come in an array of colors. These little tabs just make silverware rolls look a bit more cleaner and at such a small price. One of our great organizational finds for our busy summer... definitely saved us money and payroll in the long run! they're positively a "good thing"! I have purchases these napkin bands in the past and they have been great!! Wrapping the flatware ahead of time is such a huge timesaver. I gave this product 4 stars because some of the wraps did not stick well, other than that, great product, and in the process of purchaseing more right now!! Good. They are pretty good quality from the many different brands I've tried. Especially with all the different colors available. I would buy another 30 cases if I had somewhere to put them. We originally bought these in brown. The case has lasted us over six months and I am somewhat pleased with them. They need to have more stick to them. In California, you can't lay out sliverware until the customer is sitting down. Now we roll the silver before they get here and it save alot of time. And it is sanitary. I was completely floored to find 20,000 napkin bands for the same price that i had been paying for only 10,000! I will never go anywhere else. The burgundy bands look great and hold our silverware tight. I love these napkin bands and after much searching, this is the best price. I bought 3 colors and like all of them, but would like more colors to choose from. Napkin bands are so expensive everywhere else! This band and it's price cannot be beat. Easy to use and they work great! A great value from Webstaurant Store! These are large enough bands that I can actually use to wrap real silverware in the linen napkins when needed. Will purchase more in the future and also in different colors.